Almost half the CEOs for the top 25 Fortune 500 companies made a campaign contribution in 2011, according to non-partisan tracking project OpenSecrets.org. Here are some of the top givers. As one of the richest men in the world, Warren Buffett can afford to spread a little political largesse. The billionaire investor has vocally made his opinions known on tax policy, inspiring President Obama's plan to tax the rich and earning it the nickname, the "Buffett Rule." 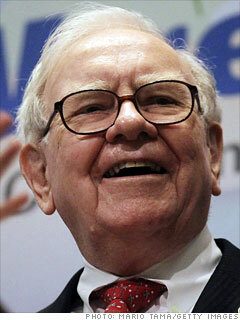 In 2011, the Oracle of Omaha put his money up to back it up. He donated the maximum amount allowed per year by the Federal Election Commission to a national party committee. Buffett is already well on his way to reaching that maximum again in 2012. In January, he donated an additional $30,000 to the DNC.